While there are certain shades of beige that look great in a home, too much beige can be a bad thing! Take this home in Worcester Township for example. 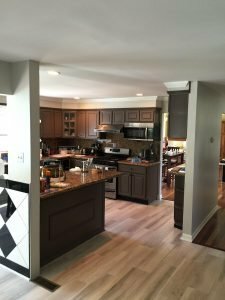 The wall color in the kitchen and family room was beautiful, but it matched too closely with the light colored kitchen cabinets and beautiful light hardwood floors. 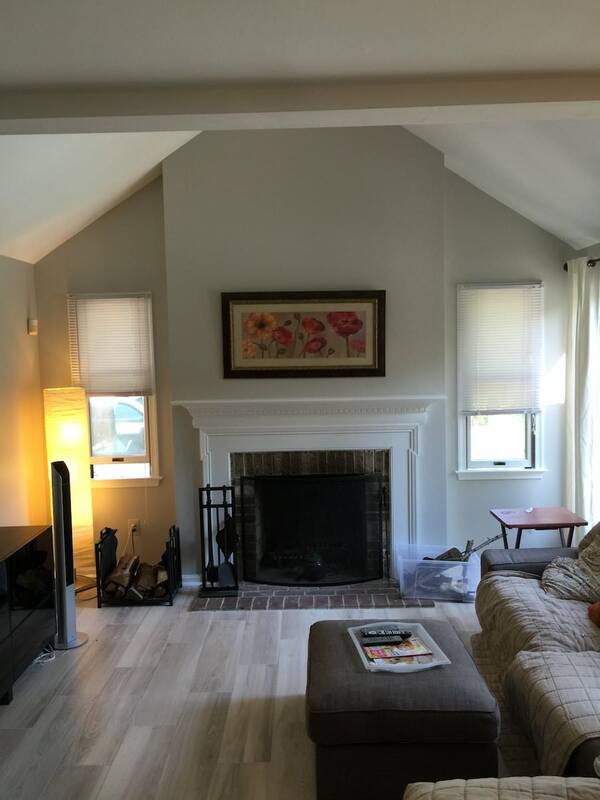 The monotone look was ruining an otherwise gorgeous space. 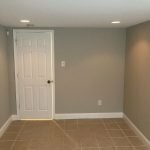 Something needed to be done to break up the look of these two rooms. LaffCo. Painting helped choose the perfect combination of paint colors to give each room a unique look while still feeling tied together as one large welcoming space for family and friends to gather. 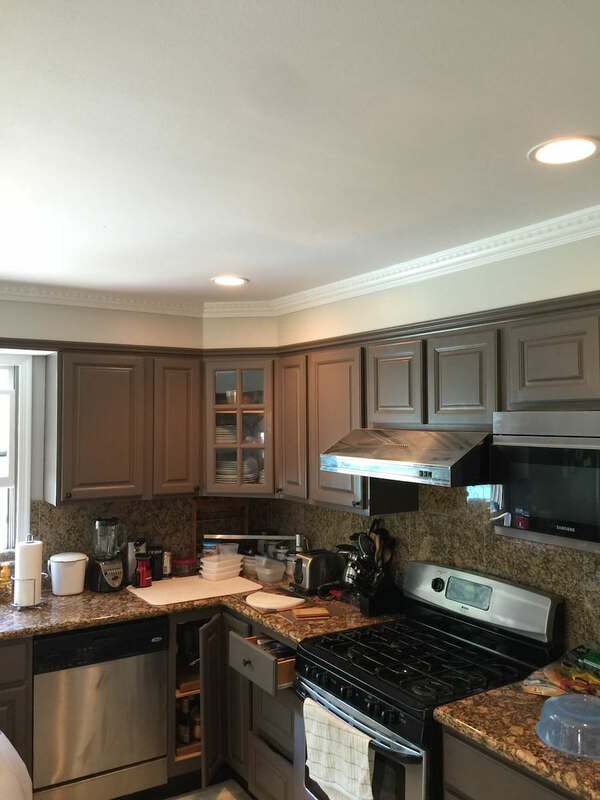 The cabinets were painted in Garret Gray by Sherwin Williams. 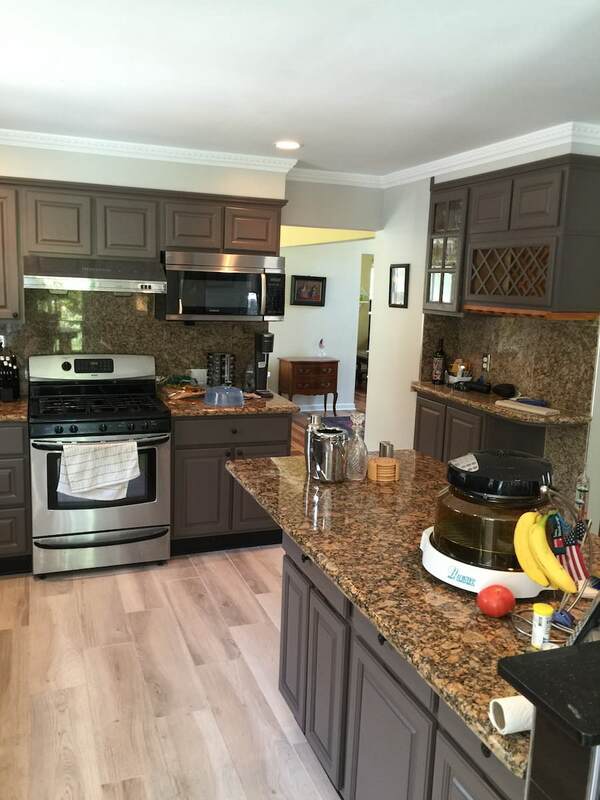 When natural light from the kitchen window hits these cabinets, the beautiful brown-gray colors really shine. 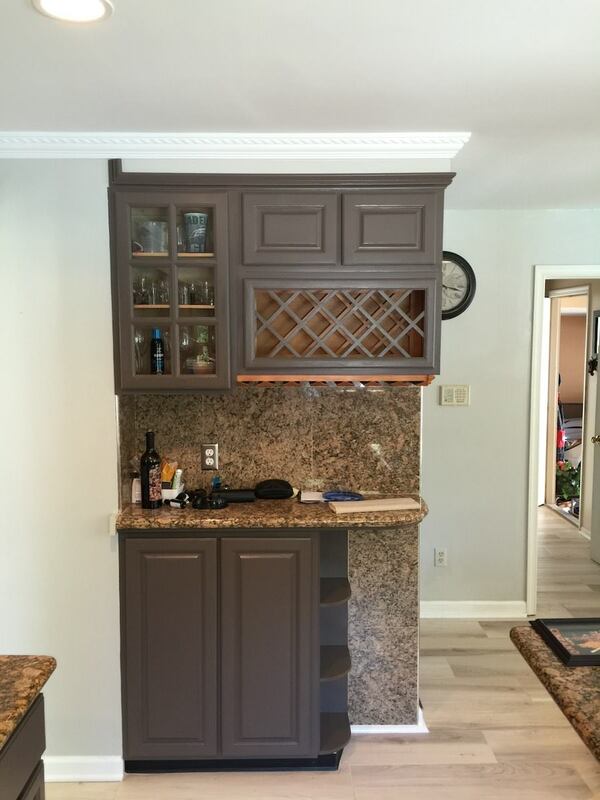 It ties in the browns in the marble backsplash and hardwood floors perfectly! We painted the walls of the kitchen and family room in Agreeable Gray by Sherwin Williams. This color makes both rooms feel much brighter than the original beige color ever did. 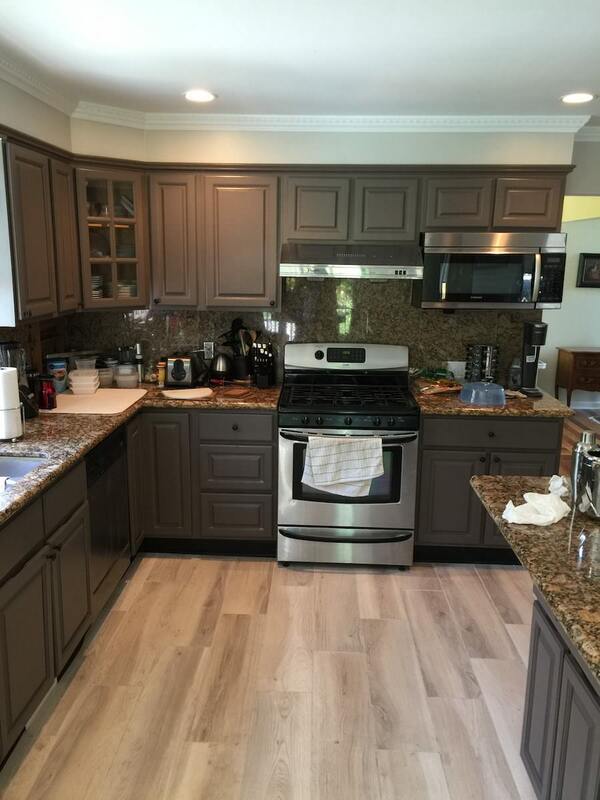 It also matches the subtle gray hues in the newly painted cabinets. The homeowner was thrilled with their brand new kitchen and family room. We’re sure they started planning plenty of gatherings the moment we walked out the front door! Click here for your free interior painting quote from LaffCo. Painting today. I have worked with LaffCo. Painting several times, and they never fail to do an impressive job. 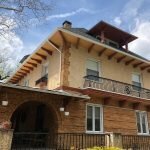 The team is always on time, reliable and gets the job done right. 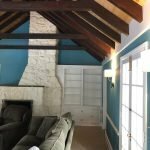 We used them to paint the interior walls and ceiling of a home, and I am very glad we did. I recommend them to all my friends!